reducing the potential for personal injuries. 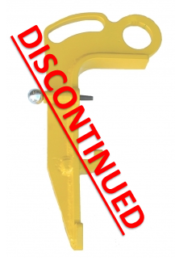 This item hase been discontinued and replaced with the Adjustable E and F Coupler Lifter part number 0168-2. 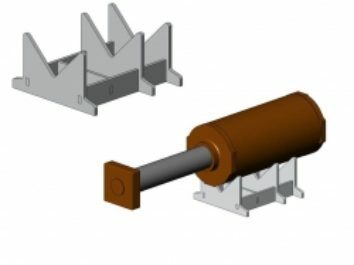 This kit replaces the retaining pin, spring, and knob for the E and F coupler lifter (Part # 0168). 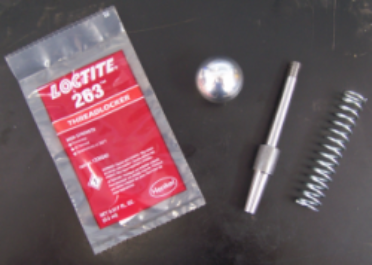 Included is a container of loctite to firmly secure the knob to the end of the pin. 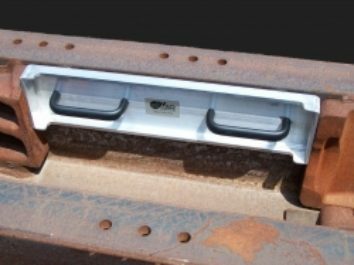 This kit is only compatible with the E and F coupler lifter. 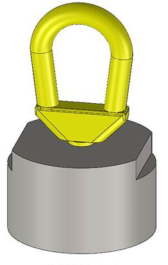 This fixture is designed to remove, install, and transport Long Shank E & F type 69 Couplers. 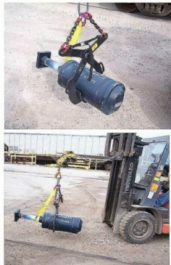 Use to transport complete E & F style Draft Gear Assemblies or single yokes. 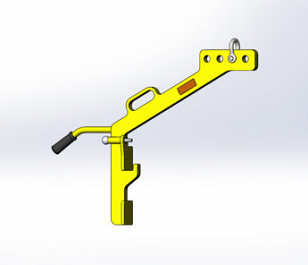 May be used with any overhead crane, hoist, or forklift equipped with a hook type lifting device. 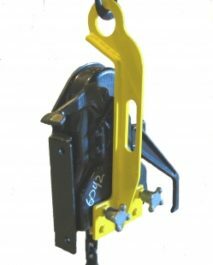 Includes standard lifting fixture identification tag. 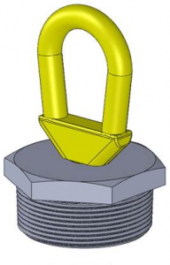 Equipped with four different lifting points to balance all types of assemblies. 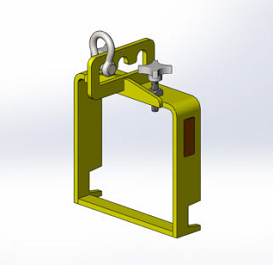 Use this cradle on top of existing lift tables or devices to securely hold the draft gear assembly in place for installation. 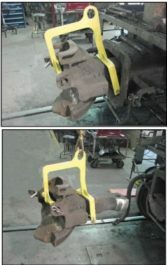 May also be used to store the draft gear assembly on the floor after it is removed from the car. 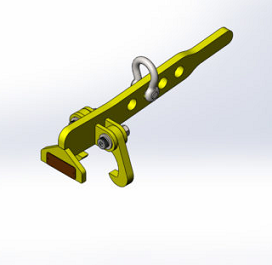 The design has been changed to allow placement of the carrier plate though the cradle for gear installation. 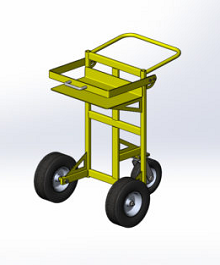 Light weight aluminum construction for ease of handling and transport. 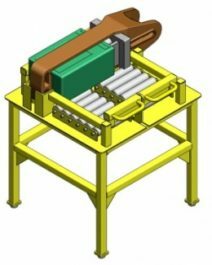 Use this cradle on top of existing lift tables or devices to securely hold the draft gear assembly in place for installation. 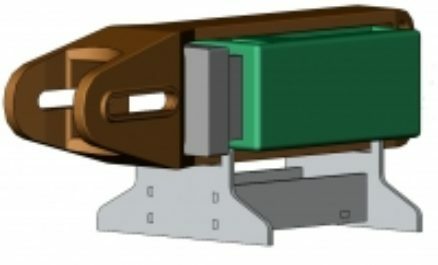 This cradle is slanted about two degrees to match the angle of the draft gear pocket when the car is jacked from one end. It may also be used to store the draft gear assembly on the floor after it is removed from the car. 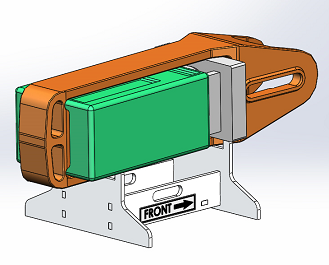 The design has been changed to allow placement of the carrier plate though the cradle for gear installation. 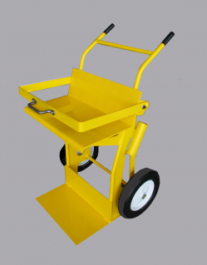 Light weight aluminum construction for ease of handling and transport. 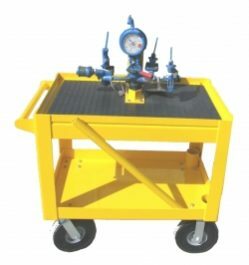 * The Draft Gear Assembly Table is designed to quickly push together any “E” or “F” style draft gears, yokes, and follower blocks. The table offers a safe alternative to handling and assembling these heavy components by hand using bars. 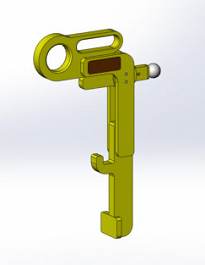 * Handles are attached on the Pusher Arms for manual assembly. 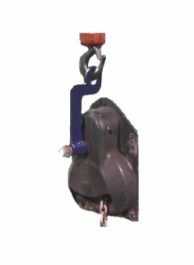 This fixture is designed to lift and transport various styles of round body End Of Car Cushioning Devices. 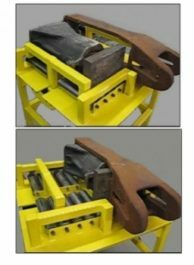 The Round Component Cradle may be used to install, remove, or store EOC devices, or store other round components such as Air Brake Cylinders. and secured with two studded hand knobs. 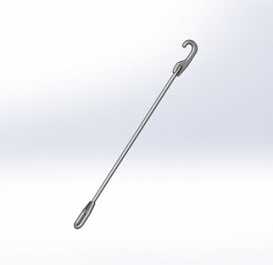 The hook attaches to the center axle and secured with the brake handle nut. 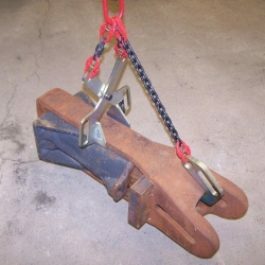 The hook lifts the hand brake up in to a vertical position. 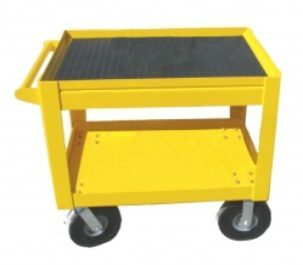 Capacity 300 Lbs. that have been applied too tightly to release by hand. Used to lift articulated conectors. The fixture is slid around the connector and then secured with two studded knobs. 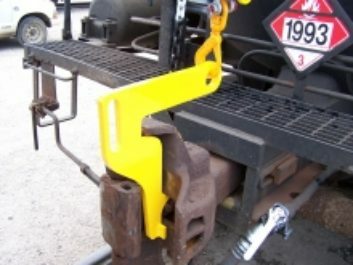 For pulling 3″ Eduction pipe and ball valves for tank cars.